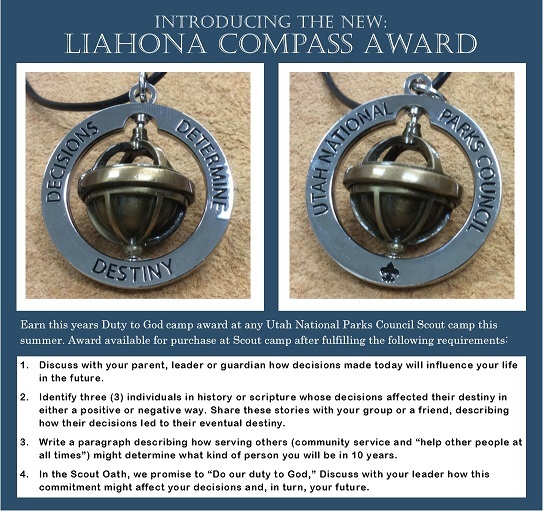 The award will be available for purchase at every camp trading post after the young man has earned the award to their leader’s satisfaction. Scout Leaders should feel free to change the requirements to suit the desired outcomes set by the group or church organization leadership. This award may also be purchased online (here) or through the Orem Service Center. Click here for the blog article.